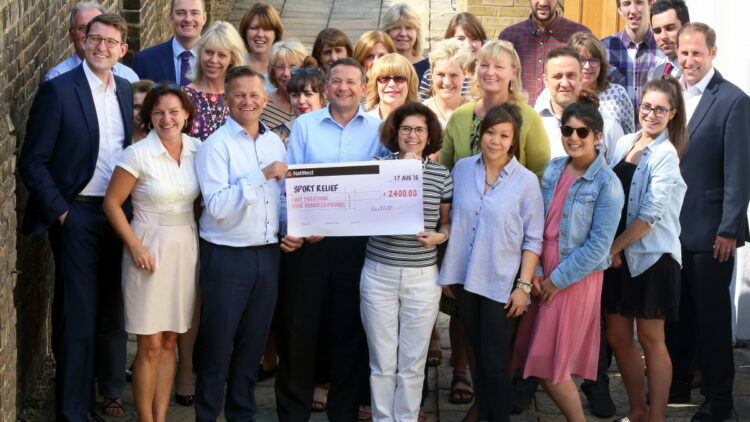 The money has now been collected and counted and bartlett mitchell have announced their head office team have raised nearly £2,500 for Sport Relief. The head office team took part in a 12 hour sponsored bike-athon at their head office in Egham. 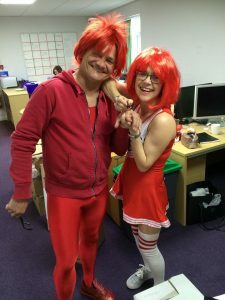 Marketing Director, Lin Dickens and Purchasing Director, Steve Fox (pictured) were amongst the team members who dressed up to enter in to the spirit of the event. 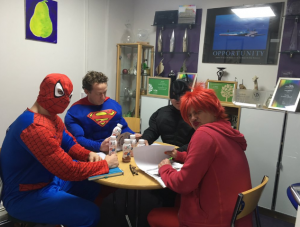 Sport Relief raises money to support some of the poorest and most disadvantaged people in the UK and around the world, 50% of the money is spent in the UK, supporting projects locally.